Lake Benson Park includes a walking trail and accommodates a variety of activities from family gatherings, pickup football games, playground fun for the kids, to town-wide special events. In warm weather, fishing and boat rentals are also available at the Lake Benson Boat House, which is located at 975 Buffaloe Rd., from sunrise to sunset. 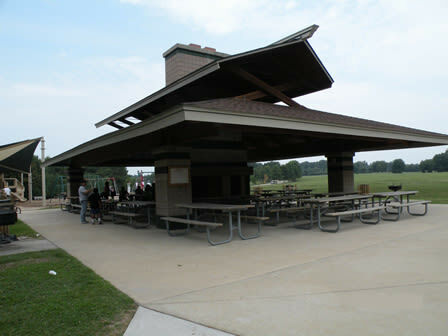 The park has four picnic shelters that are available for rental. The largest shelter can accommodate up to 150 people and has restroom and playground facilities close by. The other three shelters can accommodate 50 people at one shelter and 20 at the two others. This is a beautiful place to gather for fun with your family and friends. Wide open spaces for kite flying, pickup football games and play are always available and many enjoy riding bikes, walking their pets or walking and jogging around the 1.8 miles of trails in this beautiful park.